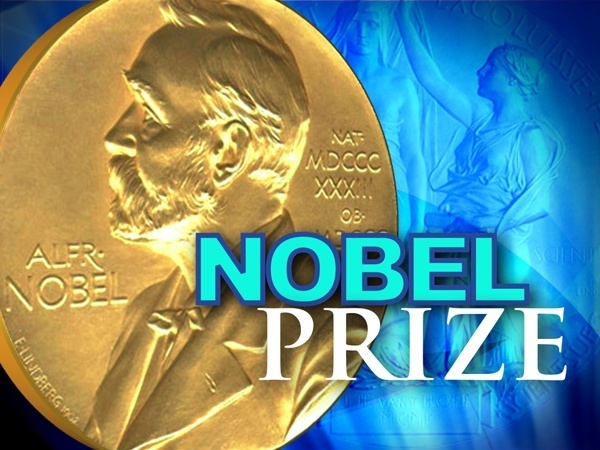 The Nobel Prize is given for the Outstanding contributions for humanity in chemistry, economics, literature, peace, physics, or physiology or medicine. The Nobel Assembly at Karolinska Institutet has decided on 3rd October, 2016 to award the 2016 Nobel Prize in Physiology or Medicine to Yoshinori Ohsumi for his discoveries of mechanisms for autophagy. 107 Nobel Prizes in Physiology or Medicine have been awarded since 1901. It was not awarded on nine occasions, i.e., in 1915, 1916, 1917, 1918, 1921, 1925, 1940, 1941 and 1942. 39 Medicine Prizes have been given to one Laureate only, 32 Medicine Prizes have been shared by two Laureates and 36 Medicine Prizes have been shared between three Laureates. To date, the oldest Nobel Laureate in Physiology or Medicine is Peyton Rous, who was 87 years old when he was awarded the Medicine Prize in 1966. 211 individuals have been awarded the prestigious Nobel Prize in Physiology or Medicine till 2016. Out of the 211 individuals only 12 are women awarded. Of these 12, Barabara McClintock is the only one who has received an unshared Nobel Prize. Yet, no one has been awarded the Nobel Prize in Physiology or Medicine more than once. 110 Nobel Prizes in Physics have been awarded since 1901. It was not awarded on six occasions, i.e., in 1916, 1931, 1934, 1940, 1941, and 1942. 47 Physics Prizes have been given to one Laureate only, 32 Physics Prizes have been shared by two Laureates and 31 Physics Prizes have been shared between three Laureates. The Nobel Prize in Physics has been awarded to 204 individual Laureates till 2016. As John Bardeen has been awarded twice there are 203 individuals who have been awarded the Nobel Prize in Physics since 1901. To date, the youngest Nobel Laureate in Physics is Lawrence Bragg, who was 25 years old when he was awarded the Nobel Prize together with his father in 1915. To date, the oldest Nobel Laureate in Physics is Raymond Davis Jr., who was 88 years old when he was awarded the Nobel Prize in 2002. Of the 198 individuals awarded the Nobel Prize in Physics, only two are women. (Marie Curie in 1903 and Maria Goeppert-Mayer in 1963). The Curies were the most successful “Nobel Prize family”. The husband and wife partnership (Marie Curie and Pierre Curie) were awarded the 1903 Nobel Prize in Physics. The Royal Swedish Academy of Sciences has decided on 5th October 2016 to award the Nobel Prize in Chemistry 2016 to Jean-Pierre Sauvage (University of Strasbourg, France) Sir J. Fraser Stoddart (Northwestern University, USA) and Bernard L. Feringa (University of Groningen, the Netherlands) “for the design and synthesis of molecular machines”. 108 Nobel Prizes in Chemistry have been awarded since 1901. It was not awarded on eight occasions, i.e., in 1916, 1917, 1919, 1924, 1933, 1940, 1941 and 1942. 63 Chemistry Prizes have been given to one Laureate only, 23 Chemistry Prizes have been shared by two Laureates and 22 Chemistry Prizes have been shared between three Laureates. The Nobel Prize in Chemistry has been awarded to 175 Laureates till 2016. As Frederick Sanger has been awarded twice, there are 174 individuals who have received the Nobel Prize in Chemistry since 1901. To date, the youngest Nobel Laureate in Chemistry is Frederic Joliot, who was 35 years old when he was awarded the Chemistry Prize in 1935, together with his wife, Irene Joliot-Curie. To date the oldest Nobel Laureate in Chemistry is John B. Fenn, who was 85 years old when he was awarded the Chemistry Prize in 2002. Of the 168 individuals awarded the Nobel Prize in Chemistry, four are women so far. Two of these four women, Marie Curie and Dorothy Crowfoot Hodgkin, were awarded with unshared Chemistry Prizes. The Swedish Academy has decided on 13th October, 2016 to award the Nobel Prize 2016 in Literature to Bob Dylan “for having created new poetic expressions within the great American song tradition”. 109 Nobel Prizes in Literature have been awarded since 1901. It was not awarded on seven occasions, i.e., in 1914, 1918, 1935, 1940, 1941, 1942, and 1943. 113 individuals have been awarded the Nobel Prize in Literature till 2016. 14 women have been awarded the Nobel Prize in Literature. Swedish author Selma Lagerlof (1858-1940) was the first woman to be awarded in 1909. Two People have declined the Nobel Prize in Literature namely, Boris Pasternak, in 1958 and Jean Paul Sartre, in 1964. English language Literature is awarded maximum times (27 times). The most common genre for Nobel Laureates in Literature is prose. 76 Nobel Laureates write mostly prose. There is one posthumous Nobel Prize in literature to Erik Axel Karlfeldt in 1931. The Norwegian Nobel Committee has decided on 7th October 2016 to award the Nobel Peace Prize 2016 to Juan Manuel Santos “for his resolute efforts to bring the country’s more than 50-year-long civil war to an end”. 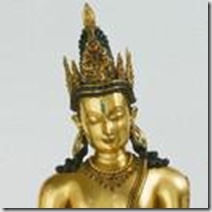 97 Nobel Peace Prizes have been awarded since 1901. It was not awarded on 19 occasions, i.e., in 1914-1916, 1918, 1923, 1924, 1928, 1932, 1939-1943, 1948, 1955-1956, 1966-1967 and 1972. 66 Peace Prizes have been given to one Laureate only, 29 Peace Prizes have been shared by two Laureates. 2 Peace Prizes have been shared between three persons. The 1994 Nobel Peace Prize was shared by Yasser Arafat, Shimon Peres, Yitzhak Rabin, and the 2011 Nobel Peace Prize was shared by Ellen Johnson Sirleaf, Leymah Gbowee and Tawakkol Karman. The Nobel Peace Prize has been awarded to 104 individuals and 26 organizations out of 130 Laureates. To date, the youngest Nobel Peace Prize Laureate is Malala Yousafzai, who was 17 years old when awarded the 2014 Peace Prize. Of the 104 individuals awarded the Nobel Peace Prize, 16 are women. The first time a Nobel Peace Prize was awarded to a woman named Bertha von Suttner in 1905. The International Committee of the Red Cross (ICRC) has awarded the most three times Nobel Peace Prize. In addition, the founder of the ICRC, Henry Dunant, was awarded the first Nobel Peace Prize in 1901. At the time of the Nobel Peace Prize award, laureates like German pacifist and journalist Carl von Ossietzky, Burmese politician Aung San Suu Kyi and Chinese human rights activist Liu Xiaobo were under arrest. There is one posthumous Nobel Peace Prize awarded to Dag Hammarskjold in 1961. The Royal Swedish Academy of Sciences has decided on 10th October 2016 to award the Sveriges Riksbank Prize in Economic Sciences in Memory of Alfred Nobel 2016 to Oliver Hart (Harvard University, USA) and Bengt Holmstrom (Massachusetts Institute of Technology, USA) “for their contributions to contract theory”. 48 Prizes in Economic Sciences have been awarded every year since 1969. 24 Prizes in Economic Sciences have been given to one Laureate only, 18 Prizes in Economic Sciences have been shared by two Laureates and 6 Prizes in Economic Sciences have been shared between three Laureates. 78 individuals have been awarded till 2016. To date, the youngest Laureate in Economic Sciences is Kenneth J. Arrow, who was 51 years old when he was awarded in 1972. The oldest Laureate in Economic Sciences to date is Leonid Hurwicz, who was 90 years old when he was awarded in 2007. He is also the oldest Laureate to be awarded in all Prize categories. Elinor Ostrom was the first female Laureate in Economic Sciences and was awarded the Prize in 2009. So far there are no multiple Laureates in Economic Sciences.